Google Algorithm Update 2018 - Mobile First Rollout? Did the March 2018 SERP shakeup include a mobile first Google algorithm update? There is certainly enough evidence to suggest that the algorithm and tremors could have included Google’s Mobile First index hidden inside other algorithm changes. Kyle hosted a special Breaking News Webinar with Special Guests: Clint Butler, Bill Hartzer, and Ted Kubaitis. They came together to talk about seeing indexing slow downs as the harbinger of a Google core update and how to prepare for future updates. They also talk about factors that could be part of this current update and stress that things will vary by keyword so you need to do some investigation into your particular niche rather than following general “update recovery” advice. We opened this webinar to the public and the response was incredible. It really made the SEO Experts bring their A game. Below the webinar, you will find the transcript to the webinar. KYLE: Welcome to Tuesday chat with Kyle. It is Tuesday. I am Kyle. We are live. On with me per usual is Clint Butler. Clint, how are you today? CLINT: Doing great. We got a full house today. KYLE: We do. We do a little side promo going on so I think we’ve got a few extras. If you’re unfamiliar with how the chat works, we chat about SEO. Sometimes a little outside SEO and into digital marketing. Clint is my usual co-host and sometimes we have some special guests on. We try to keep it somewhat short maybe in that 20 minute to 30 minute range. We have a lot of people on so there might be a lot of questions. We also have two special guests so if we run a little bit longer that’s okay. The main point is to keep it interesting though. So, if it gets boring I’ll just cut it off, call it a day but as long as it’s interesting and useful we’ll keep going. Clint, here’s the portion of our program where I ask you a question that you are unprepared for. If SEO were a tree what type of tree would it be? Time’s up. The answer was maple. The answer was maple. You were so close. The buzzer gotcha. All right so today as the people are on we’re talking about Google updates. We are talking about predicting the updates. We’re talking about controlling the updates. Seeing things in advance that might indicate that perhaps a update is coming your way and then what you can do about that. What you can do before, if possible, what you can do after. As I mentioned Clint is on with me Clint site is Digitaleer.com. Clint that’s the agency you run out of Olympia. CLINT: Correct. That’s my own agency and then I also run Over the Top SEO with Guy Sheerit. KYLE: Very cool. I’m sorry I don’t have that in the slide as well but this is why we ask the questions. So there’s Clint. A special guest with us today Bill Hartzer, billhartzer.com. Bill, how are you doing? BILL: I’m doing fabulous. This, first day of spring. KYLE: It is. I didn’t even think about that. How is it springy for you? It’s pretty cold where I’m at. BILL: It’s great here in East Texas. It’s in the 60s and bright and sunny. KYLE: Perfect. Perfect. Also special guest Ted Kubaitis. Those who know Cora know Ted. Ted, seotoollab.com. Ted, how you doing? TED: Doing great. Thank you for having me. KYLE: Well, thanks for being on. I think this is a power-packed group. Brain trust. I Skype with these guys on the side regularly. They have tremendous insights and I really appreciate all three of you being on. Let’s start off about predicting updates. As we all know there was a slowdown in indexing. A lot of SEOs were chatting about this slowdown. It’s a pain in the @ss that you were having trouble…people are having trouble just getting stuff into the index quickly where certain techniques you might have would normally get you in minutes, maybe a day at most. Another where things were just stretching out. Now, Bill, I noticed that when we were chatting in SIA you were one of the first people that mentioned… actually the first that I saw that said that this slowdown is indicative of an update. Is this something you’d seen before? How did you put your finger on something… something was up and this indexing issue was what that was? BILL: Typically, you have to think about… a couple things. You have to think about overall when you launch a new product, a new website and so forth you typically have a code freeze in the web development. That’s in line with… Google is bringing in all of this data where we’re giving them all sorts of new pages and if they’re doing some change to another database or some major change it would make sense that they would slow down the incoming data so that they can catch up and fix what they’re working on or migrating to. Maybe they’re migrating the URLs over to another system. We don’t know what exactly are going on but when they tend to slow down stuff… over the years I have just sensed and I have seen when they do that thing it means some major update or something is fixing too. In Texan speak, we say fixin to do something. It was fixing to do something, in that case. Same thing with the Google cache. There’s been a lot of cases over the years… past ten, fifteen years or so where pages just will not be cached. That’s an indication that they’re doing something. I mean why just turn off their caching unless there is something going to happen, right? KYLE: Now, Clint let me throw this to you because I know you have your agency. You do a lot of work and I know you do a lot of indexing. At what point were you seeing maybe a major slowdown? Were you seeing it in your own practice or were you seeing this just in chatter and then maybe then it was catching up to you? CLINT: Well, as you know, when we make on page changes we’re using Google URL submit to get those changes popped in really quick. So, we noticed that pretty fast that it wasn’t updating as fast as it typically did. So, normally we do it and we see the update at most 30 minutes and it was taking like a week for that to come in and then on the backlinking side… I always ran through indexers anyway so if I had just depended on that I probably wouldn’t have noticed. I would have noticed the chatter first. So, for us it happened both at the same time. KYLE: So, you mentioned the Google URL submitter. That’s a tool where you can literally just search Google URL submit and there’s a tool that you can put in your URL and Google’s as it crawls it. Did you try something else? Did you try fetch and render and search console? Did you try third parties? Are you seeing the same thing across the board? CLINT: Yeah, I’m thinking fetch and render and i Google URL submit is actually were pretty much the same but anyway you’re submitting into the same place. So, I never went back into there. I did use other indexing tools to see if it trigger but typically in those cases because I’m blackhat – or I do a lot of blackhat stuff too – I just blamed it on the indexer versus not being indexed. KYLE: Bill, something that you mentioned that was interesting is that you said something is going on, something is coming. We know that Google says that on March 7th or March 8th, I think, they confirmed that there was an update but you mentioned that it could be something that perhaps it’s not just that update. Like, perhaps there was something else going on. BILL: Yes. I mean my theory is, I would say is that we are also in a transition with mobile indexing and so forth. So, it would make sense for them to slow down the new URLs that they bringing in for a period of time while they transition over to faster servers or a new data warehouse or something that can handle the mobile first indexing and so forth. KYLE: As mobile first is such a large update. That’s a massive shift I wonder if they almost hid that update within some another update in a sense that people see a lot of weird stuff going on and then they say, yeah sure there was some update that rewarded underperforming sites, sure. BILL: I understand that that’s rolling out. I mean mobile first is rolling out about a year or so ago. I did see direct evidence of them testing the mobile, you have the mobile index and because I know a site that all of a sudden basically went… I mean the traffic to their site for three or four days went from a hundred thousand visitors a day to like four or five million visitors a day and they were all on mobile devices. I guess I can mention the site, was whatismyip.com, is one of my clients. And so this massive amount of mobile traffic hits and then it was confirmed that they were… then a couple days later, a week later or so… Google did confirm that they were testing it. So it was real traffic from Asia and India that was going to this site and on their mobile devices. The amount of mobile traffic that they sent was just unbelievable, which is going from maybe a hundred thousand visits a day to five or six million visits a day. It was pretty cool to see for that particular site because the Adsense and all the ads they… during those days… made a ton of money. So, once this is rolled out mobile first and the mobile index, it’s definitely going to have an impact on a lot of sites. I do know from comments from different Google reps that this is all rolling out. It’s not going to be a case where it’s all of a sudden it’s all rolled out at once. They’re rolling it out to different sites and so they did say we have today to looking in Google console. In the console, you’re going to see it indicated that you’re in the mobile index or whatever in search console. KYLE: That’s an interesting tip. I like that a lot. Let me throw this one out and Ted I’ll send this to you first. I know Ted you also have some slides and we’ll get to those right after this, but did anybody in the group see maybe anything else that would be predictive of something like this happening? I think we’ve established that there’s a pattern of large-scale indexing slowdowns that would be predictive of this, an algorithm change coming or something becoming within what Google is doing. Ted, did you notice anything else and then anybody else did you notice? Are there any other things that might indicate some things. TED: I think, from the data standpoint, I wouldn’t call it predictive but there are like signals that indicate that maybe an update has been triggered and what you would see in the data is that the measurements of the factors would all be the same. But all of a sudden the correlation strength of the factor just got a big change and so if the measurements aren’t changing but their correlation with rank position in Google is then that’s an indicator that Google’s probably changing the rules set. KYLE: Just in case that blew by some people, you’re saying that the factor remains but the measurement changes, is that right? TED: No, that the measurements stay the same but the correlation of the factor with rank position is what’s in motion even though none of the measurements on the websites is moving all that much. KYLE: Can you give an example of what you mean by a measurement on the site? TED: It might be something as simple as like keywords and the heading tag. So, that might be a factor and if we’re looking at our competitive data for our website and our higher ranking competitors and nothing changes but all of a sudden it goes from being the 10th strongest factor to being first strongest factor without the data changing that’s signaling that, “Oh, on Google’s end they made this more important.” But it might not be that that factor is causal. It could be indirect. A hypothetical example of that would be maybe Google makes a rule that if you misspell the word guarantee on your webpage you get an algorithmic penalty and maybe we have a factor saying I wonder if having a proofreader is a ranking factor. So, we’re going to test having a proofreader. We’ll see having a proofreader has an effect even though the causal thing would be misspelling the word that Google hates to see misspelled. So, you can have these indirect things that will affect your rankings but may not necessarily be causal and when we see that the measurements don’t change but the significance of the factor does then I think you could assume in many of those cases that Google’s changing the rule somewhere right. KYLE: When you’re saying that the measurements aren’t changing you’re saying that while maybe ranked shift but we’re still looking at the same set of sites. The sites themselves didn’t do anything different. They still have the same on-page. They still have the same links. That all of those things have remained the same. They’ve not changed anything but how they’re being scored has changed. TED: Correct. That’s exactly right. So, the websites didn’t make changes to their pages but they all of a sudden had a shake-up in the rank order. KYLE: Clint, I don’t want to put you on the spot but I know that you’re in the SERPs constantly and you’ve got a lot of clients. Did you see anything else that might have indicated? And it’s okay to answer no. We won’t think any less of you. We will simply talk about you behind your back. CLINT: I actually get some insights from people that are following me at my firm SEO This Week that reached out. I have a few of those that are into blackhat and as we know blackhat is more sensitive to updates than others and those guys were seeing like complete indexing news sites in specific terms. Clash of clans hack was one of the terms that was given to me. Supposedly there was a good 30 pages of websites in there. Now there’s nine. That’s how many domains you’re just gone from that one specific search result. So, that’s how we knew that there was that was coming big. We just didn’t know what it was or what to make of it at the time. KYLE: That’s an interesting canary in the coal mine where you’ve got sites that are on the outlier of the norm. What you should be doing like what would be an approved Google approach. When you’re outside of that I can see them being affected first by just about anything. So, if something starts to roll you can see them getting tagged as being those outliers actually maybe being the actual target and then everybody inside the bell curve feels the effects later. I wanted to be worthwhile to actually set up some outlier sites just so you could see it happen. I’ll ponder that. CLINT: I would think that prize. There’s a lot of benefit there especially if you’re playing in those markets but not in the outskirts like those term would be. I would like it though. You get a good heads up at least that something is on the way. KYLE: One of the guys on right now, Art, mentioned that he saw site:domain search results showed less during this time. I know there have been a lot of recent changes to those types of queries but it would be interesting if that is an indicator. You could set up something like a visual ping on that domain search and then when the search changes… when there’s a change then that might be predictive of something coming down the road. CLINT: I don’t know if that would work so much because of how inconsistent that search parameter is these days, and I saw that way before the update was coming up. It was just not effective as it used to be. KYLE: Well, I think maybe it might have. I’ve seen it change. I’ve seen it decrease for sure but I wonder if it has a set amount or an approximate amount. Let’s say you’ve got 30 pages that are showing then all of a sudden four showing. It could be a little indicator that something’s going on. Other pages are being crunched and things are flying in and out of the index. CLINT: Well they have been known to remove those search parameters that the SEOs are using. KYLE: Right. Like title and anchor for example are gone. Infos are gone. They could just be rolling, deprecating it and you got to see it first. Ted, I know you brought some slides. Let’s take a look at those because I think then let’s shift gears into the control factor – what you can do. When we’re looking at some updates happened. It would be great to figure out what that update was all about. What was really wonderful about this particular update that Google confirmed in that first week of March is that, they said this update is rewarding under rewarded sites. If your site dropped there’s nothing you can do. Just nothing to see here, move along. Which is one of the most remarkable statements I’ve ever seen. Don’t SEO anything. Don’t try to fix it you can’t. You can’t SEO it. It’s un-SEO-able. TED: I don’t believe that at all. You can always adapt. KYLE: You must. I mean it would be like, “Well, that’s it. Let’s closed the website down. TED: The only way their statement could possibly be true is if they said, “You know what. Yahoo directory had it right. We’re going to be 100% manually curated.” Maybe right, there’s nothing you can do. KYLE: We’re going to favor in alphabetical order. BILL: Keep in mind they’re already doing a lot of that. We have these quality raters and I know that there are certain search results for certain queries that are manually curated. There are people in there manually doing stuff. TED: But we know that that manual curation is the exception. It’s extreme cases. It’s extremely high value or high importance keywords with phenomenal traffic or it’s penalty cases, which are also not the norm, those are uncommon, but the vast majority they couldn’t possibly manually curate. When you start doing the math on that it’s astronomical. So, the vast majority of keywords out there probably are not seeing manual curation. Those are the ones that we should probably care about the most but you’re right. For payday loans if you’re in that market yeah your page one is probably manually curated. Ted I’m making you the presenter now if that’s alright. Just a quick chat, in case you’re unfamiliar. Ted has a piece of software called Cora. Cora crunches over 500 possible ranking factors. I think Ted’s position is that he is agnostic as to what may or may not be a factor and doesn’t really care. The tool crunches… the tool then spits out correlational data based on two different correlational functions and it gives the idea that these things appear to be driving rank. You can say, “Well, correlation doesn’t mean causation.” That’s true but causal factors correlate and that’s the whole point. That’s a very quick rundown of what Cora is and isn’t half of what it can do but the idea is that we can look at some factors and see what may or may not be moving the needle and Cora and I asked Ted to come on to talk about this because Cora can provide some insight on what we’re talking about on doing some damage control and finding what may or may not been part of a particular update. I’m sorry Ted I may have stolen this light or two but go ahead and take it away. TED: Let’s talk briefly about why this methodology works at all and the first thing we have to do is figure out what is that correlation. When you’re in statistics you typically have a null hypothesis where you assume something is untrue. We assume everything is not a factor and when you do that like in this example chart, this hypothetical example chart we have our ranking on Google… So, on the x-axis number 10, 9, 8 heading towards number 1 and then our measurements for the factor appear to be random. They’re not in a sorted order. It’s not like the more of that you have it looks like the better you rank or the reverse the more of that you have the worse your rank. It just seems to be like we’re flipping a coin here with this factor. So, we would say that something that that looked like this would be not a factor but the factor measurements are random with respect to your rankings so no correlation. Now, when the measurements look like this we think it’s rigged. We’re like, “Okay, now we see that there’s a trend. The more of this factor we have the better we tend to rank or the more of that we have the worst we tend to rank. So, we have these two concepts and statistics: 1. The null hypothesis. The factor is random like flipping a coin and the 2. Alternate hypothesis. The factor is not random. It’s an actual factor and the coin is rigged and all we can ever do in statistics is find evidence against the null hypothesis. We can never fully prove the alternate hypothesis. For example, if we were testing if a coin, a particular coin we were flipping is fair we could flip that coin a hundred times and we could get a hundred heads in a row but there’s always the astronomically small chance that that was just a random outcome. Now, it’s highly highly, highly unlikely but you can never get that perfect proof that could eliminate the possibility. So, all you can do in statistics is find evidence against the null hypothesis and the null hypothesis is that it’s not a factor but when we see the charts looking like this then we have evidence that we have a factor and that’s what Cora does. Cora uses the correlation coefficients to find the charts that look like this. Then, we focus on those factors. So, when we compare what factors had strong correlations and I looked the week before the update and the week after the update and this was for the keyword DUI lawyers Los Angeles we can see the movers and shakers. So, in this listing here, the ones at the top correlated the strongest with rankings and then it incrementally gets weaker and weaker as you go down the list. So, the strongest correlations are at the top and the weaker ones are at the bottom and the first thing right off the bat is that term frequency, that’s the numerator portion for TF-IDF if you wanted to know the algorithm, the relevancy algorithm that most document indexers used, that one didn’t change. Still pegged at the top for my keyword. Keywords in the HTML tag which is your keywords being in your webpage, so overall amount of keyword stuffing, didn’t move. So, the things that did move for having secure links on your page, having matches, and your host name in the Google search result, having a Terms of Service page, a number of external links, a number of social pages integrated on the page. So, I look at this and I’d say okay it looks like probably the big thing that stands out to me on this is that secure links number just getting that bump of 29 positions upward for this keyword there is already a lot of exact match domains so I know because I know this keyword so well I use it to baseline a lot of the Cora measurements. I know that those exact match domain-related factors are going to be in here anyway. So, I’m not really surprised that those are here. I’d say the real standout to me from knowing the context of this was the secure links onpage. KYLE: I think that’s an important point that people need to grasp real quick. I think, as SEOs we feel that we’re the only ones ever doing SEO. We’ve got our clients, we’ve got our lists. Clearly, we’re the only ones doing work but especially if you’re in a competitive niche there are a lot of people doing work on their sites at once but not all of them are going to move it once. We’re not a big chunk of the movement ones just because we’re all doing SEO here and there but what you’re saying is that when this update happens this is indicative of an actual update because there was such a dramatic amount of shifting at one time. TED: Yes and in my next example I show I want you to remember that for this one we were in the DUI lawyer space and Yelp is up here at the top because I’m going to make the SEO industry proud in a second. So, I did the same thing. I went back and did the same thing for another term Miami SEO and it’s also important to remember that what correlates really depends on who your competitors are and so when you change from one keyword to another you’re going to get different things correlating. That’s just the nature of the game. It’s all relative to the stack ranking between your measurements and your particular cohort of competitors. 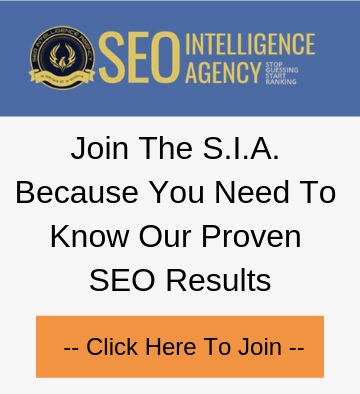 So, if you have different competitors then you’re basically playing a different ballgame and so the factors that correlate for Miami SEO are different than the factors that correlated for the DUI attorneys. Different websites doing different things. They’re competing in different ways. So, at the top we had Ahrefs rank just shoot to the top for this keyword. I thought that was interesting. It puts stock in their data and I always felt they had a good critical mass so it’s interesting that pre-update it wasn’t at the top and post-update it jumps straight to the top. Then, keywords and the actual URLs of lengths. I thought that one was interesting. Not entirely sure what it means. We still see similar things like keywords in the HTML tag it was a stronger correlation before but it’s massively up in this niche now. So, not a lot of break through things like I would look at this data and I’d say not much reason to panic unless you were a website that was adversely hit and let’s look at those for a second. So we have the websites that we’re the movers and shakers and the top three didn’t even change on this one but it looks like we saw a lot of the other players shift all at once. So, again a similar effect and when I go back and look at some of these factors specifically so like here’s keywords and sentences and this is before the update and we have our track domain at 91 and a practical max of 74 and our deficits is negative 17. We look at those values after the update our track domains 91 practical max 74 deficits 17 nothing about that situation really change except for the significance, the critical values of the correlation coefficients for the factor. Before the update it was not significant enough to be worthy of consideration and after the update it was a strong correlation that you needed to consider. KYLE: So, what you’re showing there is that the things that we’re counting. So, the practical max is the amount you should use at particular thing. So, for example they’ll be putting a keyword in an h1 zone as a very simple example in this situation we’re talking about keywords and sentences. So, those are all the sentences on the page. The practical max, the most they would want to do that 74 times didn’t change and the amount of domains that you were looking at didn’t change this. The data set remain the same but what changed was the statistical significance of this factor, of this potential ranking. TED: So, basically what I’m trying to say with this is that for that, before the algorithm update, that factor looked more random and then after it it looked like it got sorted and ranked order. So, when we say it got more significant that’s what we’re talking about. When that correlation coefficient went from being close to zero or random and then all of a sudden went above the critical value then we’re talking, “Whoa, they just sorted results based on this factor.” It’s like doing a sort in Excel. So, we can we can look at this data and when we see those correlations I think it’s okay to say that yeah when it goes from being not a significant factor before an update to being a significant factor after an update and nothing changed in a way that the measurements are all different and I think we have to assume that Google changed something behind the scenes that maybe not directly for the specter they could have changed a factor that was indirectly changing this factor too but they changed something that directly or indirectly changed the significance of this factor. KYLE: So, Ted, with what you’ve shown on those factors that shifted, true or false? I should run out and change all my stuff based on these two examples. TED: False. You absolutely shouldn’t and here’s the reason why Cora is specific to a keyword and we’ve all seen blogs and everything out there give quantitative advice and that advice would be something like, “Oh, your article should have 800 words.” Well, that might be true for one keyword but it’s highly unlikely to be true for any other keyword. Most likely is that if you made your word count 800 you’d either have way too many or nowhere near enough but the odds that 800 would be the right quantitative number for your keyword are very remote. You have to measure to get that kind of detail. So, when you see the benchmark set by my keyword it doesn’t mean they’re the right benchmarks for your keyword. KYLE: A good question came in and I don’t know how many things you’ve done this across it might only be just these two or a handful. Is it possible to see patterns emerge across different niches that might indicate that this update did these general things across the board. You think that’s even possible? TED: Yeah, I do think that’s possible and I’m currently in development of the tool set that you will need to do that analysis so version 4 of Cora will have those tools but it’s hard to do manually. Right now you would have to collect a whole lot of files from before the update in the same keyword files from after and that’s a difficult thing to do and then you would have to manually compare to do the analysis. KYLE: Do you think you would be fair to say though as most nobody has access to big data outside of Majestic, Moz, Ahrefs. Could I make changes in my niche and still be safe. If I saw some things like they were like this before and now they’re different. If I was in the Miami SEO space could i make those changes and feel good about them. TED: Yeah, I think that the claim that was made on Search Engine Roundtable or whichever blog was making those claims that you can’t adjust for this. If you fell out in the rankings on this one don’t even try. There’s nothing you can do. I think that’s patently false. I think if you correct your deficits you can improve. The thing is because of that algorithm update the deficits you need to fix have changed but it doesn’t change the fact that fixing your deficits usually improves rankings. Here’s another one. So, again the practical max changed by one unit. So, 177 versus 178. Tracked domain did not change and what really changed here was the correlation. Before the algorithm update, no correlation. After the algorithm updates, strong correlation. What seems to have happened here again is something on the other side, on Google side changed and then all of a sudden the results appear to be more ranked by this data. I know that goes above the head of a lot of people but again all we’re saying is that the data appeared to be random or not statistically significant and then all of a sudden after the update they appear in rank order and so when we see that we are entitled to go, “Hmm.. What’s going on with that? How come these are sorted so nicely? KYLE: The last question here then for you Ted would be if people didn’t have Cora or they didn’t have another tool that could do this analysis I imagine they’re still out the glean even to from Majestic, Ahrefs or Semrush. When you look at how things have shifted what can they do now? They’re like, “Well, this is great for the future but what about this moment? This update may have hit me what should I do? TED: Well, if you saw a rankings loss ideally you would want to get the data on what you could do to be more competitive because you have to keep in mind that SEO is volatile. You cannot just tune your website once and think you’re done because other people in your space are not going to be happy that you took their spot so they’ll increase their efforts to retake your spot. And so you can’t just sit back and think you’re ever done. There’s always the possibility that Google will change the rules and when that happens we all just have to adapt. We need to do the things that are the best practices to be able to adapt with those changes. The first thing you need to do is try to figure out how things have changed for your keyword and there’s no easy way around it. I mean measurement is your best tool for that. Another thing to keep in mind is that you don’t need to panic unless you’ve seen a really negative impact. If you haven’t seen a really negative impact it’s probably going to be minor and falling a ranking or two usually just means that you need to increase your effort a little more. The other thing. If you’re in SIA, which most people are, you should probably just listen because though there will be a ton of chatter if Google drastically changes the rule set. We will talk about these things like very quickly within that group. KYLE: That’s very true. I saw with Bill talking about… well, I think everybody start talking about the indexing update. Are you having problems with this or that and then Bill chiming in about updates are coming. I guess that’s what happen the points are taking a lot of measurements. So, I think when Ted and I look at like a lot of the files that I’ve run in Cora and some other things that I checked I’m agreeing along with what you’re talking about with like the HTTP links, Ahref score bouncing up. Those things, I think a lot of it has to do with some link quality but as you mentioned it’s going to affect different niches differently. So, you have the ability to see these within your own niche I think a big thing is… it’s trite to say that it’s quality but it makes a lot of sense to me about those HTTP links as a sign of quality that you got a link from a good site. I think Ahref says you mentioned has good data and I think that might be what they’re picking up but I’m seeing a lot of that in my before and afters. Clint, have you done much with any before-and-afters? Are you seeing anything stand out to you? CLINT: I haven’t been any because a lot of my clients we didn’t see much. The only thing I saw was applying your on-page SEO tool and Cora and everything that we saw that we did those changes to actually shot up. So, from my perspective it was an on-page thing and they are looking at quality and quality changed it and then when you look at it from the blackhat perspective it was backlinks but the ones that I really care about was on page and it was all green for me. So, I really dig into like Ted here. KYLE: A question came in that’s pretty good and Bill this might be a good one for you. How do you explain massive ranking drops from say a position 5 to late 80s for a few days and then recovery back to the top 10 some here was they go back to the same position. Some a little higher, some a little lower I guess would be the idea, up or down. You’ve been around Google for so long and seeing these types of things happen when somebody asks you that type of question how do you explain that? BILL: Nowadays, there are so many different reasons why. I’ve seen somebody all of a sudden put a robots.txt disallow. It’s basically stop the crawlers from crawling this light and then to a day later figuring now and putting it back. There’s been times where sites were down and then or had a crawling issue that the site wasn’t available. In a lot of cases there’s issues where the site itself caused that wrecking drop. So, that’s where I go to first to say, “Okay, well what did you do to your site that cause this?” The other issue is it could be a link to you as well. I mean, all of a sudden, did you get some links that Google doesn’t like or something like that. Then, the next is to look at your Google search console and see if there’s any penalties. There’s so many different ways to go at it when you see a drop like that. The first thing I would say though is that probably something the site owner did. KYLE: In the situation where maybe it wasn’t. Nothing has happened and this drop happens what jumps out in my mind is somebody triggered a split test. You don’t necessarily need to have something done to your site. Somebody else could do something to theirs that would cause yours to move where Google is split-testing now those top ten results and that could be triggered by somebody doing something to trigger Google. Such as, they’ve fired all bunch of links at their site that triggers the split test. Google could be split testing that SERP right then and there. Or it could be as we saw with this update that a lot of SERPs are being tested right in there but when you see that drop and then you come back and you’re in the same spot or one or below that means the split test happened. Either you didn’t or you passed and you’re in that right spot or somebody else failed but that’s usually how you… from what I’ve seen when… especially if you haven’t done anything personally that’s when that happens. A question for Ted. Would you think we would see similar ranking factors in Cora based on keywords grouped by searcher intent, for example. I think they meant to say in a specific niche. Could you cluster keywords and see a pattern of results, do you think? TED: There are most definitely patterns out of the five hundred and twenty plus SEO factors we measure. There are two dozen that we just see all the time. There’ll be a different power levels depending upon your competition so it really depends how much your competitors are competing on those factors and for some keywords nobody’s competing at all in which case you might see weird things correlate but anytime that there’s a lot of pressure to compete in SEO you tend to see a lot of the same things. KYLE: Excellent. We’re coming towards the end. There were a couple random questions I want to address. One was for Ted, a very specific one. Cp4 25, are these inter links on an HTTPS site or links from outside the HTTPS site. It was the factor that bumped up I believe. That HTTPS factor. TED: This is looking at the number of secure links on the page that’s ranking. So, it’s an on-page factor so not inbound necessarily but they can be links to the same site. They could be external if it was specifically internal versus external the factor name would have told you that. So, in this case it’s just looking at the whole collection of all secure links on the page. KYLE: So, these are links then leaving the page? TED: Yeah, but they could go external or to the other pages on the same site, internal. KYLE: So, what does this all mean? I guess what’s the point of what we’re trying to get to. Clint, you want to take that one? CLINT: I think what when that question come up I was actually talking Cora clocks which can be a little bit technical sometimes and ensure you send it up at the end when you said hey look at your keywords compare what you’ve seen before and after and then just know that it’s going to be different for everybody. Don’t take flaking statements that you see and test it for yourself is basically what I get it his part. KYLE: Here’s a good question for anyone that wants to jump at it. Where do you start? You’ve got, in this example, it’s a large e-commerce site that’s had a drop. Where do you start with this thing and this person is saying that Cora is being paged to page makes it a little tricky to evaluate. I guess you’ve had this giant drop. You think you’ve been hit by this update maybe what’s step number one. Anybody want to take that? TED: I’d say, don’t bite off more than you can chew. If you have a page that dropped try to fix it and the best way to fix it is to find out where you’re deficient and boost that a bit and see if you get a result because more often than not out of the two or three dozen things that you’ll probably be deficient in and if you could just find five or six easy ones that you could knock out right away you probably see some turnaround pretty quickly. So, I would test the notion that it can’t be recovered from in a hurry because I patently don’t believe that’s true. BILL: Yeah, it is possible to recover quickly. You just have to identify what the issue is and for a lot of sites and a lot of people who do a lot of SEO do not have a lot of experience. It can be difficult to analyze and to figure out what really is going on to fix the problems and sometimes it’s multiple issues. KYLE: You need to find two or three things that appear to be it. There are ways to go about that and then tackle those. See what moving you get and then move on to the next set of things. I think it’s easy to get very overwhelmed with my pages dropped and I need to do a thousand things. Start with one, see if it moves the needle and I think you also need to be very organized about the changes that you make. If you make 12 changes and you see one spot move maybe one of those things did that but maybe some would have moved to the other way. Be very organized about when you do them and in what order. There’s certain things that move rank more than others. Certain indicators, factors that are stronger than others and in the case of Cora and tools that do that analysis there are things that predict rank more than others. Those are things that I would jump into and look at first. Brett’s mentioning that he seems to notice that it looks, in his particular niche, that pages are ranking for more keywords. Certain sites maybe had four or five keywords spread across four or five pages and it looks like a lot of those are clumped together and that’s an interesting observation. All right. So, I think we might leave it with that. I want to thank everyone for being on I really appreciate you joining us on this chat. This has been a little bit longer than normal but they’re a lot on and there are a lot of questions that’s great. I want to thank everybody for asking their questions. If somehow we missed your question please send that my way. If you’re in SIA you can put that in the Skype group or in the Facebook group where I know that all these guys that are on hang out and are more than happy to answer questions. If you’re not you can send those my way. I think half the Internet has all my contact information: kyle@hvseo.com is my agency email. You can send me an email. Happy to chat with you and if you need to get a question to Clint, Bill or Ted, I can make sure they get that for you. I want to thank you three – Clint, Bill and Ted. Thank you very much for being on. I appreciate your time. I know you guys are very busy you have lots going on and I really appreciate you taking the time for me to chat about this stuff. Make sure you share the Recipe or this open webinar. Let’s show Google we can come back quickly together!